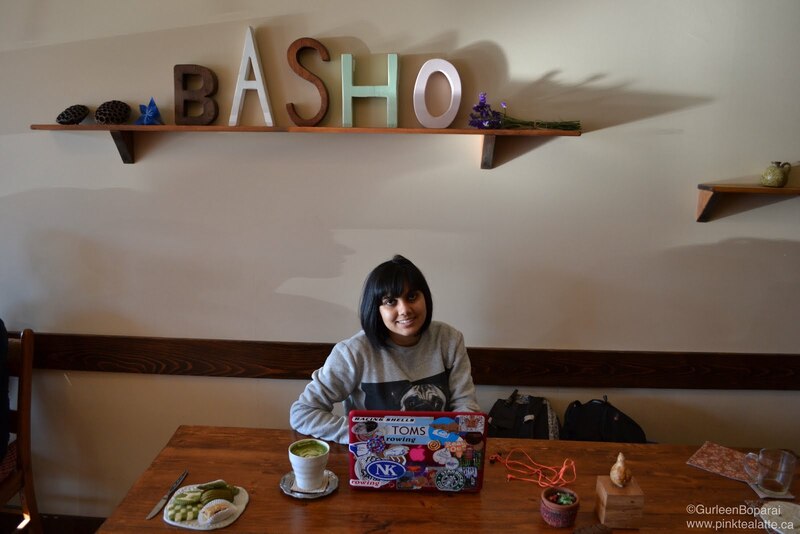 I finally got out Basho - the epicentre of all things Matcha in Vancouver! No secret here that I love my matcha lattes. And that my blog's name, Pink Tea Latte, stems from Green Tea Latte! 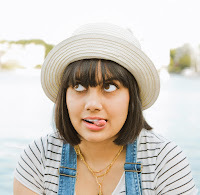 You can read all about it in my post on Branding! 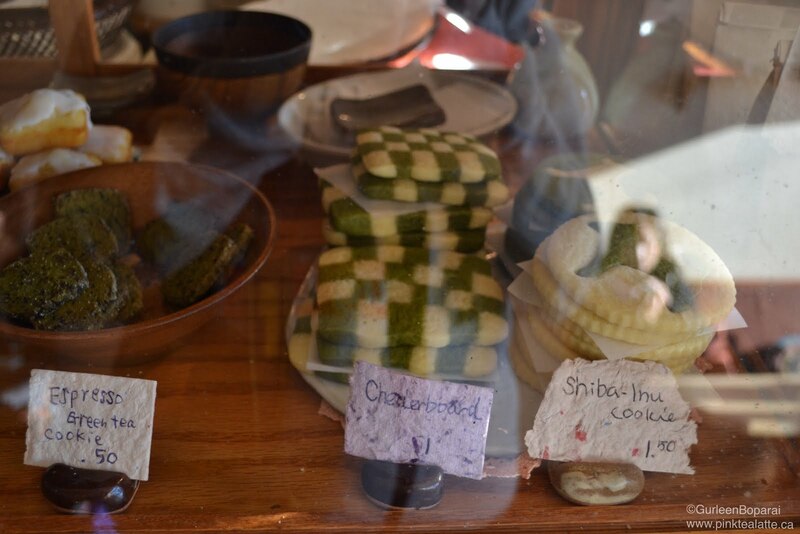 This adorable family-run japanese food cafe is located on East Hastings and has such a cute cozy atmosphere. I love working in places where I just feel at ease because if I am overwhelmed, I find it hard to get any work completed. I had such a lovely time at this fabulous little cafe. I spent the afternoon getting some work done with a friend as I nibbled on some matcha yummies like no DUHH. We got an assortment of their matcha baked goodies which ranged from cookies to mochi (a japanese treat where rice is pounded until it becomes stretchy and chewy) treats to madeleines. The Matcha Madeleine was AMAZING! 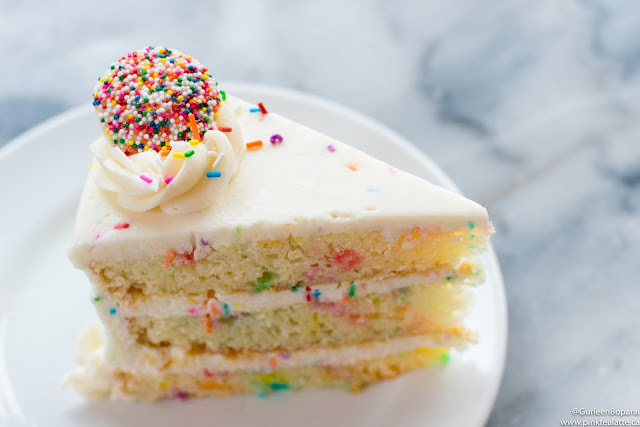 I could have ate a dozen of those shell shaped cakes alone. It was soft and fluffy and had excellent matcha flavour. My next favourite, perhaps biased by its cute look, is the Shiba Inu Matcha Cookie. I had a hard time taking a bite into it because it was too pretty! 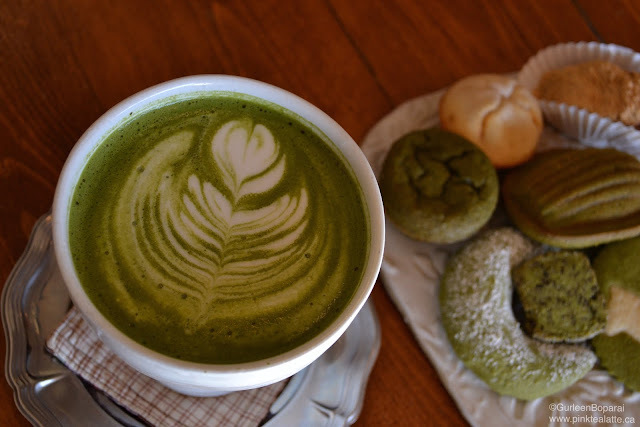 Lastly, the matcha latte itself. They served it steaming hot - which I like because I love to savour my warm drinks - in a beautiful handless mug. I pretty much just sat there for a few minutes with my hands wrapped around the cup and took in its warmth. It was an unsweetened classic matcha latte with excellent flavour. The depth of flavour was amazing! Plus, gotta love the latte art! Side Note - Basho does NOT have Wifi. I am lucky to have a Shaw Go account; therefore, generally have internet everywhere which is great because a lot of my work does require me to have internet. Will be visiting Basho soon for more yummy matcha treats - like a giant box of Madeleines! Let me know in the comments below if you have ever been to Basho and if you liked it?